At Brookside Preschool we believe children develop best when they feel safe and secure within their physical environment. To achieve this, the adults caring for children need to be nurturing and responsive to individual needs. We view children as strong, capable, competent and curious. Children bring with them experiences, theories, knowledge and skills and questions that need answering. Our curriculum is purposeful, authentic and flexible. 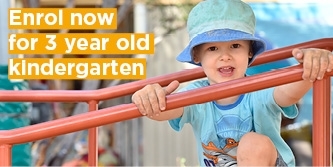 At Brookside Preschool your child will learn through a variety of teaching strategies. Our experienced and passionate educators are intentional in scaffold learning, modelling skills and behaviours, co-constructing to build knowledge and understandings, questioning and actively encourage problem-solving. Children are offered long periods of uninterrupted play that moves between indoors and outdoors to allow for deep learning. Children can observe, explore and experiment in an environment that promotes their agency. Promoting a child’s agency empowers children to have ownership and be wholly involved in their learning. Inspiring creativity and expression through sustainable practices allows children to develop positive self-concepts. The focus is on the process rather than the end product. As a community-based preschool, we promote respect for all cultures and beliefs. 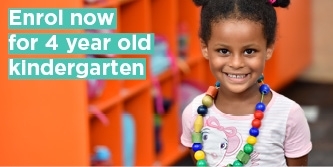 Brookside Preschool values and welcomes families from all backgrounds, cultures and religions. We understand families are children's first educators. Families are welcome to spend time within the sessions and engage in conversations with educators about their child’s learning and development. Brookside Preschool has a parent advisory group that works alongside educators to improve resources, experiences and community engagement. Respect for the natural environment and the world around us is very important, and we believe that this should start at an early age. We also promote healthy eating and drinking and encourage children to drink water only. We recognise the importance of active outdoor play to promote fine and gross motor skill development.